Social dance classes include many popular party social dances such as Salsa, Bachata, Line Dancing etc. These are open classes suitable for beginners with no background. Latin American classes include the various international latin styles – Chachacha, Samba, Rumba, Paso Doble and Jive. 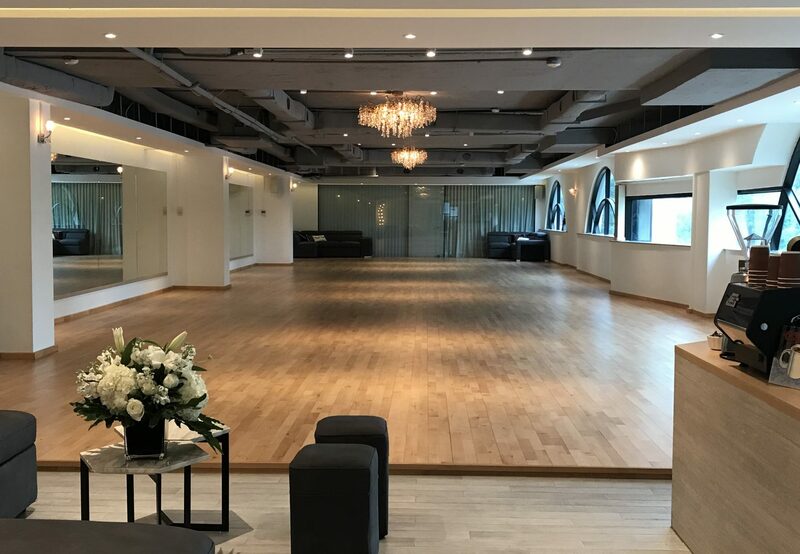 New Vogue classes include the various new vogue and sequence dances – Balmoral Blues, Sallyanne Cha Cha, Mambo Magic, Swing Waltz, Mayfair Quickstep etc. These classes are for beginners with no dance background. They follow a syllabus and typically lasts for a term of 10 weeks, covering 2 dances within each term. Open classes are for both new and current ballroom dancers. Each class covers basic technique and a short open choreography. These classes are suitable for beginners and novice dancers. There is no syllabus and is ongoing throughout the year. Technique classes are for current ballroom dancers who already have a basic knowledge of the dances. There are 2 types of technique classes – Basic and Advanced Competitor. Basic Technique classes are for dancers who have a knowledge of all the ballroom dances and would like to improve their skills on the basic technique involved in each of the basic steps. Advanced Competitor Technique classes are for dancers well versed in the ballroom dances and with sufficient basic technique who would like to learn the application of technique to improve more complex choreography, partnering skills and dynamics of the dance.